British designer Christopher Raeburn, recently made Artistic Director of Victorinox Fashion, will be revealing his AW14 collection at London Fashion Week this Friday. His unique concept has captures the eye of many fashion-goers. Raeburn graduated from the Royal College of Art in 2006 with an MA in Womenswear, before freelancing as a pattern cutter and launching his label in 2008. With his creative designs and reinterpretations of military fabrics, his name grew within the Fashion industry. Using de-commissioned parachutes, he designed and created outerwear. 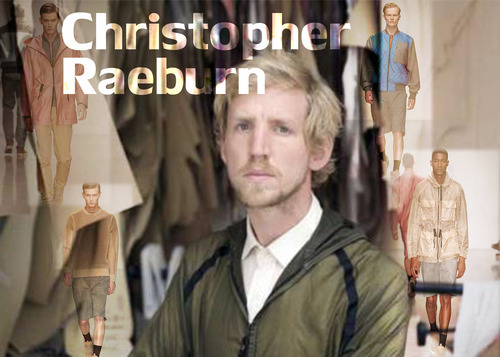 Christopher Raeburn now has over 60 stockists worldwide, including Harrods and Harvey Nichols. The talented designer has won many awards, such as a British Fashion Award for Emerging Talent in Menswear and Rising Star Award from UK Fashion and Textiles. Raeburn’s much anticipated collection will be shown at London Fashion Week this Friday at 5pm, and streamed live.